Ironically, my first attempted interview with Dr. Reginald Hill was postponed due to a mouse in his office. I arrived for our interview and was greeted by Hill and his lab members holding trash cans and flash lights attempting to trap the critter. “I promise this is not one of my mice!” said Hill. For decades, genetically altered mouse models have been a vital tool for researchers, contributing to advancements in cancer research. According to the National Cancer Institute, mice have been a powerful species for modeling human cancers because of a discovery in 1981 finding that the mouse genome can be changed to accept the delivery and consistent expression of foreign genes. The first publications about transgenic cancer models appeared in 1984. Since then, advances continue to be made that allow a better understanding of the mechanisms of tumor development and the identification of better therapeutic and diagnostic strategies. Due to the innate similarity of mouse and human genes, mouse models provide extraordinary insight into the biology and genetics of human cancers. 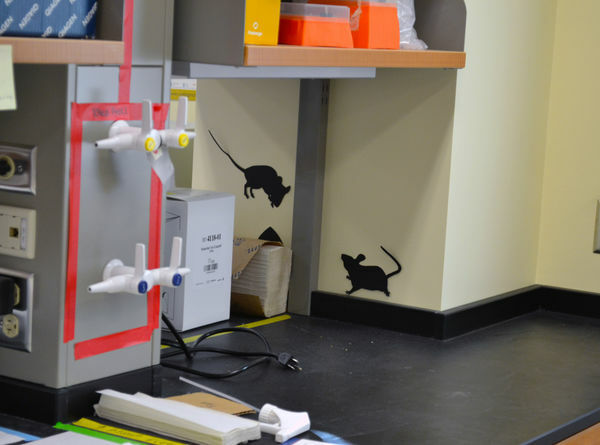 The Harper Cancer Research Institute has a “mouse doctor” of its own. 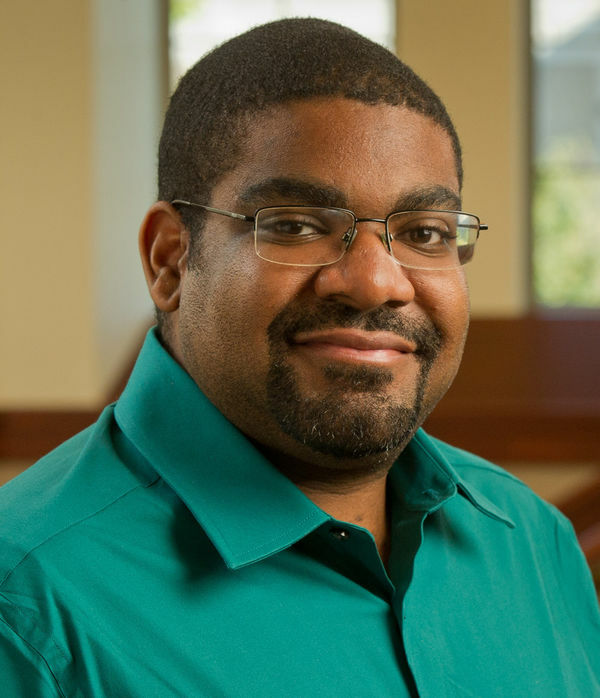 Dr. Reginald Hill has been genetically engineering mice since 2005 while he was a graduate student working towards his PhD at the University of North Carolina at Chapel Hill. Hill knew he wanted to study genetics but was unsure of which area to pursue. Indirectly, Hill’s inspiration came from Jurassic Park; the story about genetically engineered dinosaurs. Hill said, “The book changed my life. I wanted to be a genetic engineer.” Hill wanted an opportunity to create something useful. He went into graduate school determined to learn the skills and techniques necessary to create mice with altered genes. “It’s not as cool as making a dinosaur but it’s still pretty neat. Using genetic engineering to create a model of cancer could help us understand and treat cancer in humans” says Hill. After completing his PhD, and several prostate cancer mouse models later, Hill learned that there was a greater need for pancreatic cancer researchers. The survival statistics of patients with the two different diseases were night and day. During that time, pancreatic cancer had a five-year survival rate of only five percent and prostate cancer was close to 100 percent. Hill wanted a challenge and thought his skills and background could be more useful in an area with a greater need. In 2012 Hill brought his talents to the University of Notre Dame. The Hill lab focuses on studying the role of the tumor microenvironment in pancreatic cancer initiation and chemoresistance. His goal is to create a mouse that can mimic human pancreatic cancer so we can learn how cancer develops in people, how it responds to drugs or how it can be completely eradicated. We don’t know much about pancreatic cancer in people because it is always found in the late stages. In mouse models we are able to study the genetic alterations that are believed to give rise to the deadliest cancers seen in patients. The Hill lab alters the genome of the mice to portray certain mutations seen in humans. If researchers find a mutation in a gene such as KRAS, which is found to be mutated in 95 percent of pancreatic cancer patients, then they can create a mouse with the same genetic mutation of KRAS. Typically, everyone has KRAS. It is a gene that controls the proliferation of the cells. However, those with pancreatic cancer have a mutation where the gene will never turn off, causing the cells to constantly proliferate until there is an abundance of cell growth in the pancreas. 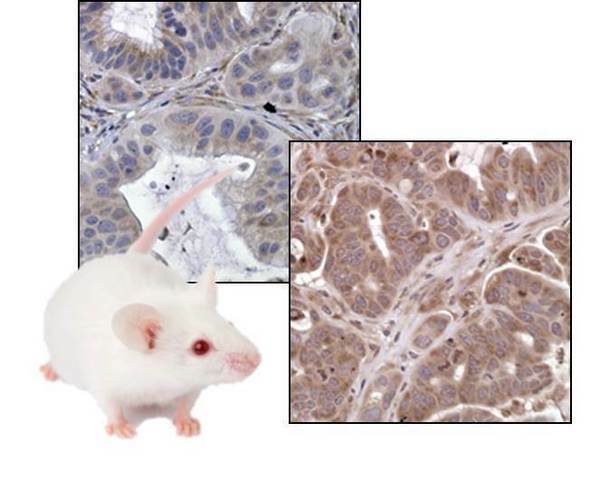 The Hill lab has genetically engineered mice to express the KRAS mutant gene in their pancreas to see if this is the gene that is causing pancreatic cancer. “We can cause cancer. We can cause it to happen at a certain time so we can look for biomarkers that we can detect in blood or saliva. Then we can figure out when cancer is going to show up in people. With these mouse models we can learn how early we can detect cancer. We can also learn how to cure people with these diseases and how to make chemotherapy more effective.” In the future, the Hill lab is looking to develop a universal blood test which can be done during routine blood work. The blood can be tested for different biomarkers associated with pancreatic cancer. The Harper Cancer Research Institute is dedicated to developing innovative new mouse models which will contribute to the overall advancement of cancer research at the institute. These models will allow better understanding of the mechanisms of tumor development and progression, ultimately resulting in better diagnostic and therapeutic strategies. Originally published by Jenna Bilinski at harpercancer.nd.edu on February 10, 2016.